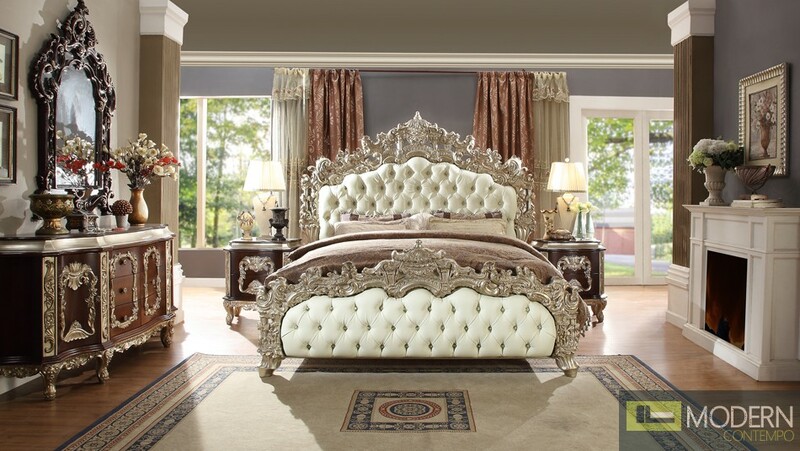 Featuring a Victorian influence in this design, a bed featuring a tufted footboard and headboard along with a heavily-carved frame.Each piece crafted to Perfection! Featuring a Victorian influence in this design, a bed featuring a tufted footboard and headboard along with a heavily-carved frame. Each piece crafted to Perfection!